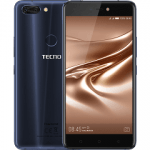 The Tecno Phantom Z full Specification, Features and Price, while the full Specification, Features and Price of the Infinix Zero X506. The Tecno Phantom Z has a dimension of 71.9*144.5*7.8mm, while the Tecno F6 has a dimension of 140*70*7.9 mm. The Tecno Phantom Z runs the Android 4.4 OS (Kitkat), while the Tecno F6 runs the Android 4.4.2 (Kitkat). The Tecno Phantom Z has a 2.0GHz Octa-core, while the Tecno F6 has 1.3 GHz Octa-core. They all support GPRS, EDGE, 3G. They all have WiFi support. They both have Bluetooth capability. Phantom Z comes with a 2GB RAM, while the Tecno F6 comes with a 1GB. Phantom Z 13.0MP has a back camera, while the Tecno F6 has also an 8.0MP. camera, while the Tecno F6 has a 5.0MP. F6 has a 4.7” screen. Tecno Phantom Z is larger. Tecno Phantom Z has a 2.0GHz Octa-core processor. System, The Tecno F6 runs the Android 4.4.2 (Kitkat). Tecno Phantom Z has a 2.0GB. Phantom Z has a 32GB. Tecno Phantom Z has 3030maH. (Screen Size), The Tecno Phantom Z has a 5.2” screen size. (Rear), The Tecno Phantom Z has a 13.0MP. (Front), The Tecno Phantom Z has an 8.0MP. Phantom Z possess an edge over the Tecno F6 in this area. Phantom Z runs Android 4.4 (Kitkat). what you do not like about them. Why wouldn't the Phantom Z win the contest?! F6 is also worth its price. Yeah, The Tecno F6 is much cheaper than the Tecno Phantom Z.